It's been rumored for more than a year; now it's reality. This morning at the Detroit Auto Show, the 2014 Jeep Grand Cherokee EcoDiesel will be unveiled by Jeep as part of a comprehensive update to the three-year-old sport utility vehicle. Fitted to European versions of the Grand Cherokee already, the 240-horsepower 3.0-liter V-6 turbodiesel produces a substantial 420 lb-ft of torque. Jeep predicts the diesel Grand Cherokee will be rated at 21 mpg city, 30 mpg highway for the rear-wheel drive version; we're betting that produces a combined EPA rating of 24 or 25 mpg. Adding all-wheel drive will bring that down to 20 mpg city, 28 mpg highway, Jeep says, which we'd peg at 22 or 23 mpg combined. 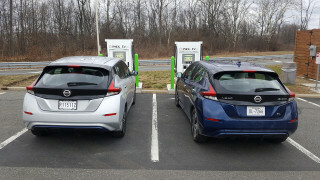 According to the company, that fuel efficiency will offer a highway range of more than 700 miles--meaning you'll have to stop for bodily needs well before you need to refuel. Other changes to the 2014 Grand Cherokee include new front-end styling, including headlamps, grille, and bumper; revised taillights; and inside, various interior upgrades and a new version of the Chrysler Uconnect infotainment interface. Under the hood, there's also a new eight-speed automatic transmission that replaces the five-speed automatics currently used. 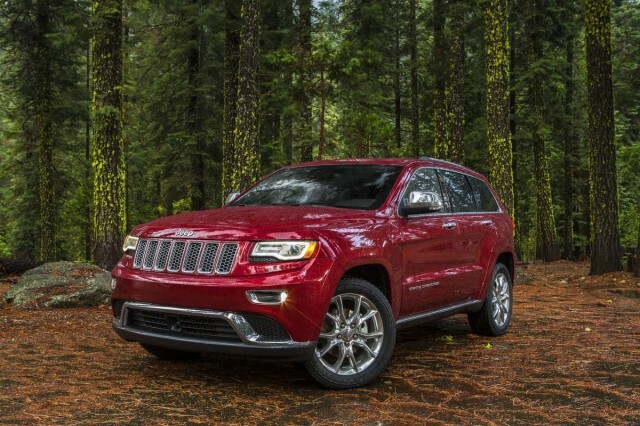 It will be fitted across the board to all 2014 Grand Cherokees, both the diesel and the gasoline V-6 and V-8 models. Sourced from German maker ZF, the new automatic offers manual shifting for drivers who want it, and includes an Eco Mode that remaps shift points to maximize fuel efficiency. On some models--though not the new diesel--the transmission works together with cylinder deactivation for further fuel economy gains. The most fuel-efficient version of the 2013 Grand Cherokee gets a combined 19 mpg, using a 3.6-liter V-6 paired with a five-speed automatic transmission. In addition to the new diesel Jeep, there's also a hot-rod Grand Cherokee SRT version--undoubtedly the least green of the 2014 lineup. For all the news on concept cars and new production vehicles, check our Detroit Auto Show page for the very latest updates.